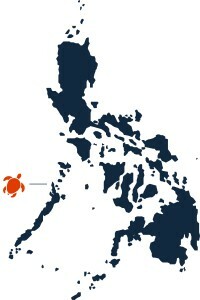 From the capital of Palawan, Puerto Princesa, it is 272 km to El Nido. Most people travel this road by bus or van and start the trip at the busterminal just out of town. By bus it will take you about 6 hours, depending on the time you are travelling and how many passengers will hup on and off allong the way. There are two main bus-operators between Puerto Princesa and El Nido, Roro and Cherry. A ticket will cost around 500 Pesos for Aircon and 400 Pesos for Non-Aircon. By van it will take about 5 hours. 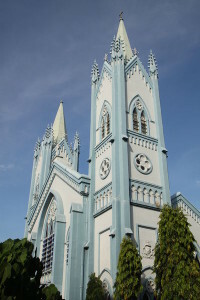 There are a lot of van operators in Puerto Princesa that offer one- or two-way trips to El Nido. Prices are between 500 and 700 Pesos one way.